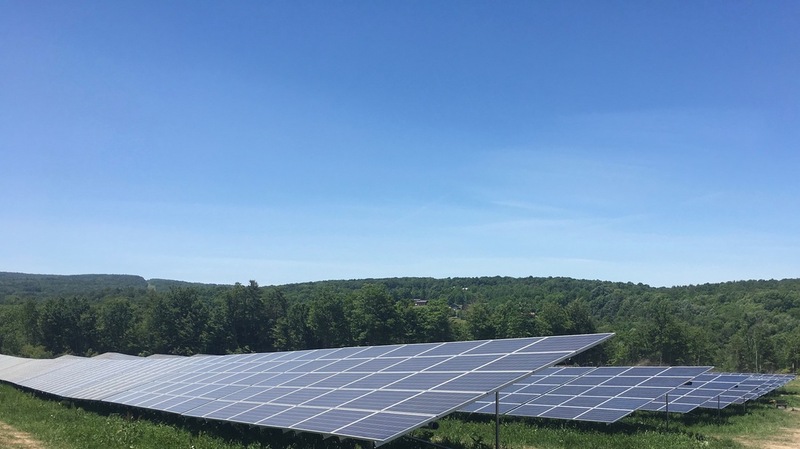 Serving NYSEG customers in the Southern Tier and Finger Lakes regions, Newfield Solar is Nexamp’s first community solar project in New York. The system consists of more than 23,000 solar panels and is expected to generate 9 million kilowatt hours (kWh) of electricity per year. The 7.5 MW DC array spans about 30 acres and will serve approximately 700 subscribers, 140 of whom reside in Newfield. Through Nexamp’s community solar program, nearby residents, small businesses and non-profits across the Empire State can expect to receive more than $2 million in electricity cost savings over the project’s lifetime. Selected as a developer partner for RenewableNY’s Solarize Campaign, Nexamp worked with local officials, neighborhood associations and non-profits to help expand and equalize access to clean energy.